Do you have chairs but they don’t match the color for your event? The solution is to add a chair cover. 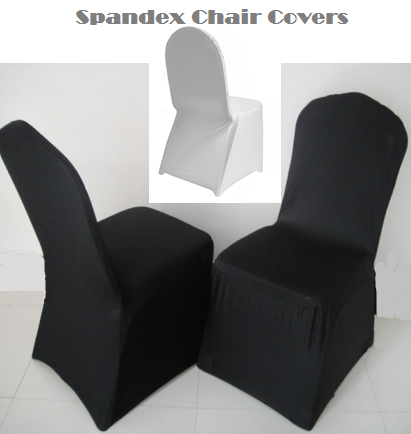 Our standard colors are black, white and ivory but we can special order other colors. We also offer chair cover setup where we cover the chairs for you. Cost for setup is only $0.50 per chair. This entry was posted in Uncategorized and tagged chair cover rental huntsville, spandex by Inetha23. Bookmark the permalink.